This is the first video biography of Frithjof Schuon. It has many clips of Schuon himself, along with clips of many others speaking about him. It also includes rare photos of Schuon's life, music that he loved, and much else. This site is the most comprehensive repository of information pertaining to the life and work of Frithjof Schuon (1907-1998); materials include published articles, personal correspondence, private papers, poems, photographs, and works of art. Frithjof Schuon is the preeminent spokesman of a school of thought that focuses on the expression and explanation of the Perennial Philosophy. 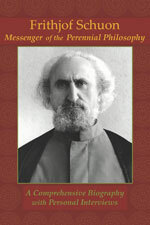 This philosophy expresses the timeless metaphysical truths underlying the diverse religions; its written sources include the revealed Scriptures as well as the writings of the great spiritual masters. Because these truths are permanent and universal, the point of view may thus be called "Perennialist." 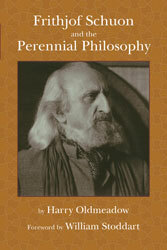 The Perennial Philosophy is an important perspective that can inform the study of Comparative Religion, Anthropology, Art, Literature, and many related areas. 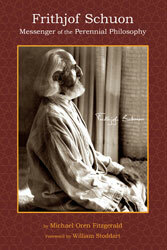 Schuon was a philosopher in the tradition of Plato, Shankara, and Eckhart, and he wrote over two dozen books on religion, metaphysics, sacred art, and the spiritual path. Describing Schuon’s first book, The Transcendent Unity of Religions, Nobel laureate T. S. Eliot wrote, "I have met with no more impressive work in the comparative study of Oriental and Occidental religion", and world-renowned religion scholar Huston Smith said of Schuon, "The man is a living wonder; intellectually apropos religion, equally in depth and breadth, the paragon of our time". Schuon’s books have been translated into over a dozen languages and are respected by academic and religious authorities alike. Schuon’s writings remain unequaled in setting forth the principles of perennialist thought as well as their applications on the spiritual, aesthetic, and other related levels. Besides his accomplishments as an author, Frithjof Schuon was also a gifted artist and poet. His art and his poetry flowed naturally from his awareness of God's Presence in creation. Catalogue notes from a museum display of Schuon’s art explain that “springing as they do from his rich and unique personality, Schuon’s paintings…have a rare value, not only as regards artistic merit but above all because of their gift for manifesting the human soul at its noblest and most beautiful—hence, as a vehicle for Truth.” The sense of the sacred figures as much in Schuon’s art and poetry as in his philosophical writings. The story of Schuon’s life presented in these pages demonstrates how his own intellect, personality, and actions reflected the elevated metaphysics, spiritual insights, and artistic creations that comprised his body of work. This online resource brings together, through a survey of his many-faceted dimensions, Frithjof Schuon’s important contributions to the manifestations of the timeless Truth. Film Clips of Schuon "Perennial Framework"